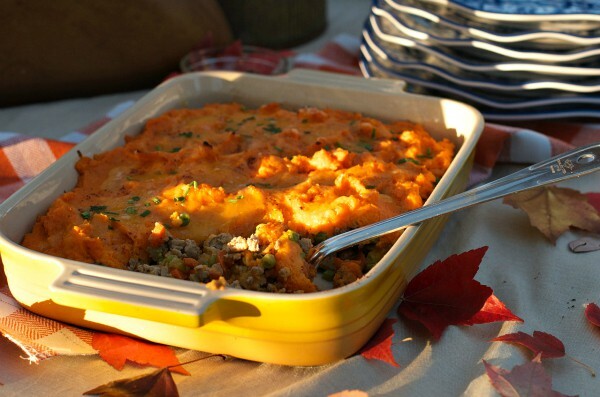 Enjoy Sweet Potato Shepherd’s Pie with Cheese Recipe, made with two different kinds of delicious cheeses, ground turkey, and sweet potaotes! 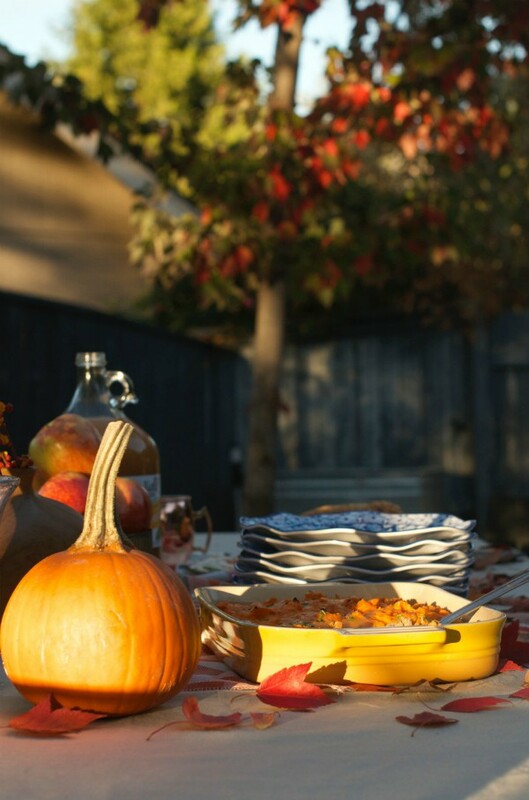 Fall is a great time of year for a casual dinner party with friends. I like to make a one-pot dish, have guests bring salads, and pull a loaf of hot, crunchy bread from the oven. Perfection! This time I used Tillamook cheddar cheeses in my dish, Sweet Potato Shepherd’s Pie! 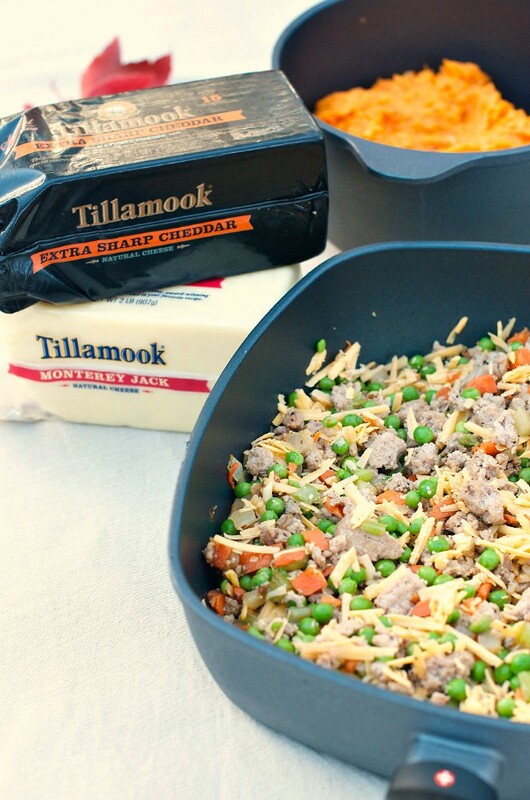 Tillamook has been using the same, natural cheddar recipe for over 100 years. I also love Tillamook, because not only did my mama use it in her cooking, but it’s made right here in the Pacific Northwest, in my home state! There’s something to be said for tradition. That’s tradition that tastes good. Even though we’re entering one of the busiest seasons, with the holidays fast approaching, I still like to prioritize our friends. If we don’t make room in our lives for people, then we miss out on the rhythm of flavor and food that makes us even more grateful for others, for connection, and for the bounty we’ve been given. I manifested a casual dinner idea in our backyard a week ago, when the leaves were coming down plentifully, and the colors were so vibrant. It was casual, nice, and our guests dished up their own food, sat around the table—short and sweet night. I didn’t have time to get our backyard in tip top shape, but it was all okay, because it’s fall, and people sort of expect a coolness in the air, with wet leaves, which added a fun vibe to the party! 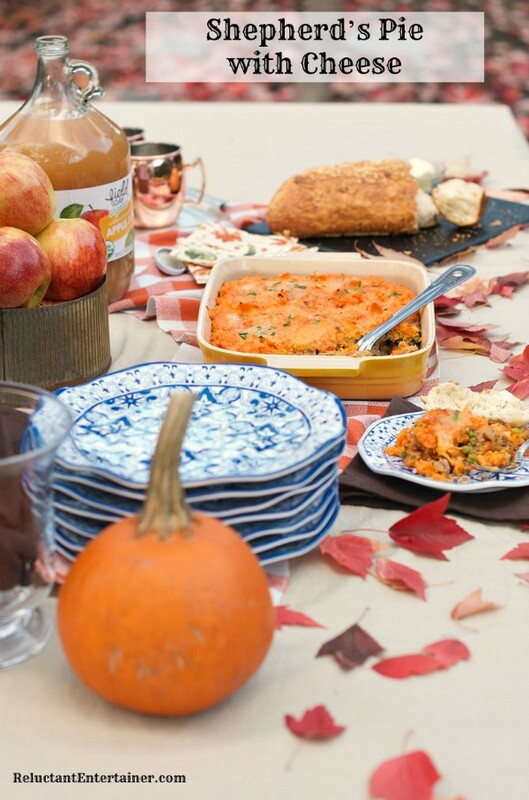 Sandy’s Tips for a Tasty Fall Party. 1. Make a ONE-POT dish. 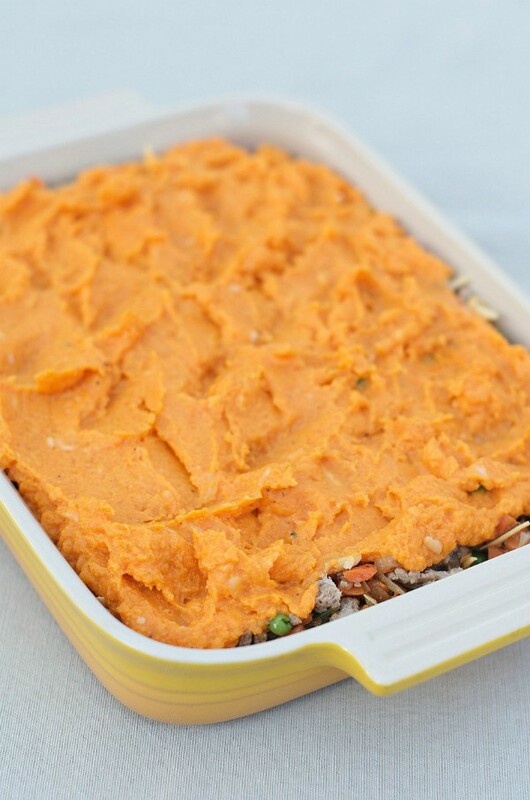 Guests are in the mood for hearty home-cooked meals during this season, so I cooked a delicious Sweet Potato Shepherd’s Pie. 2. Pull up the chairs. Set chairs casually around the table, and keep it easy for friends to chat and get to know each other. Our friends are always so excited to see one another. I love bringing people together in our backyard! 3. Serve it on a weeknight. Because everyone contributes to the meal, all you have to do is invite, set the table, and make a one-pot dish. That is easy entertaining! 4. Make a signature fall drink. It’s apple cider season, so we served Apple Moscow Mules, which are a delightful drink that can be served with alcohol or without. Either way, it’s scrumptious and perfect for the menu. 5. Serve the food straight from the oven. I grabbed my potholders and brought out a hot Shepherd’s Pie with Cheese Recipe, ready for my guests to dive into. You should have seen the looks on their faces! 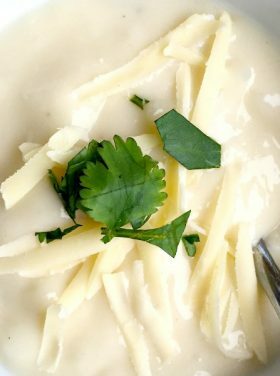 Made with 2 kinds of Tillamook cheese–Extra Sharp Tillamook Cheddar Cheese and Tillamook Monterey Jack Cheese–I’ve found what’s best for the buck (and the best flavor, I might add), is buying the large blocks of cheese, and grating them yourself. Oh, and a few things I learned about Tillamook Cheddar is that it is aged with time, not shortcuts. They have nothing to hide when it comes to their dairy products. Secondly, Tillamook has won over 750 awards since 1909, including ‘America’s Best’ Medium Cheddar at the 2015 International Cheese Awards. Now that’s something to be proud of! 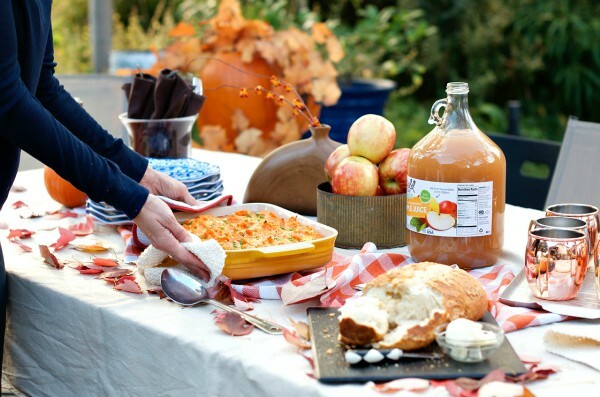 Want to save $1 on Tillamook Cheddar for your next Fall party? Download the coupon, HERE. Have you thought about having a casual event and inviting a group of friends over this month? 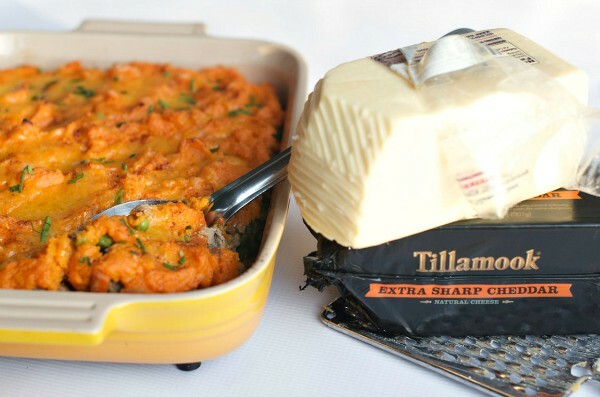 Enjoy this cheesy sweet potato shepherd’s pie recipe, made with two different kinds of delicious Tillamook cheese. Save time and cook the sweet potatoes the night before! Preheat oven to 400 degrees. Bake sweet potatoes for 45 minutes on a foil-lined baking sheet, or until tender. Allow to cool for a few minutes; peel. 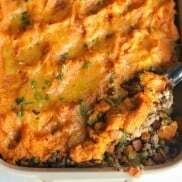 Place the sweet potatoes in a large bowl and add the nutmeg, butter, and Monterey Jack cheese. Whip until creamy and smooth. Salt and pepper to taste. In a large pan, heat oil over medium-high heat. Add the ground turkey and cook, breaking apart with a wooden spoon, for 4-5 minutes. Stir in the mirepoix (carrots, celery, onions) along with salt and pepper, and 1/2 cup water. Cover and cook over medium heat, stirring once or twice, for about 6-7 minutes, adding more water if necessary. Uncover and stir in the peas and Worcestershire sauce. Cook for 2 minutes, then remove from heat. Add 1 1/2 cups of grated Extra Sharp Tillamook Cheddar Cheese. Place mixture in a 9×13 pan (prepared with cooking spray). Spread potatoes over the mixture; sprinkle with nutmeg. Bake, uncovered, at 350 degrees for 25 minutes. Sprinkle the top with the remaining 1/2 cup Extra Sharp Tillamook Cheddar Cheese; bake another 5-7 minutes. Garnish with fresh chopped herbs; serve immediately! 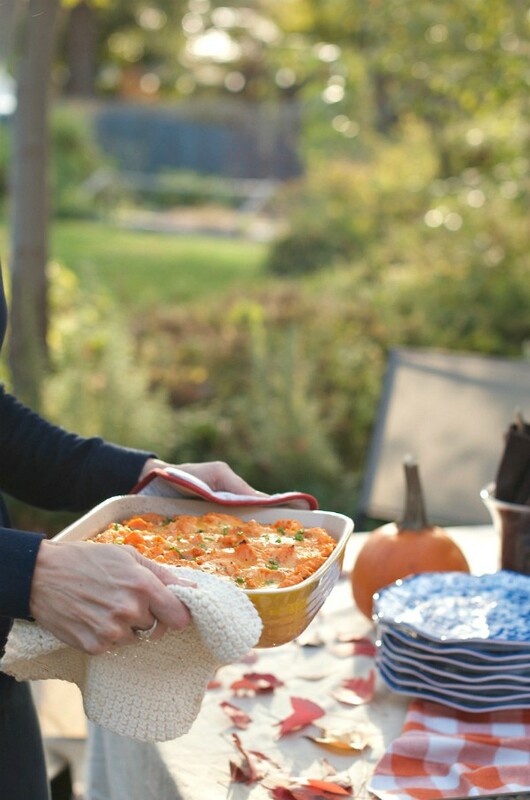 So easy to bake in this Le Crueset pan, and to serve wtih these Q Squared dishes! I am a huge fan of Carthage copper mugs too! Whenever I need to whip or mix, I can always rely on my KitchenAid mixer (and hand-mixer)! This post is sponsored by Tillamook Cheese, but as always, all opinions are my own! « Previous PostMinted Holiday Card $150 Giveaway! Do you think this could be prepared ahead of time, frozen, and then baked? Would you defrost and bake as instructed? Yes you can. You need to bake it first though. I would bake in the preheated oven for 20-25 minutes. Let the pan cool completely in the refrigerator before freezing. Cover with foil and freeze. To reheat, let thaw in the fridge overnight, then reheat for about 45-50 minutes, covered, then remove the foil for another 10-15 minutes at 350. Does this recipe have to be made with cheese? On a very specific diet that exclude dairy. What do you think it would do to the flavor? No, it doesn not. You can leave the cheese out! ENJOY! 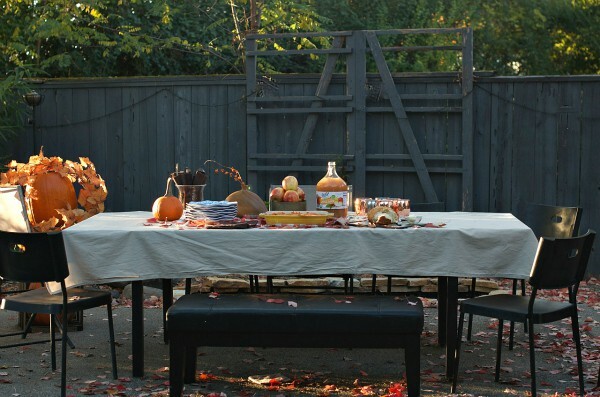 Your table looks so beautiful and it screams fall! I’m loving this version of shepherd’s pie. 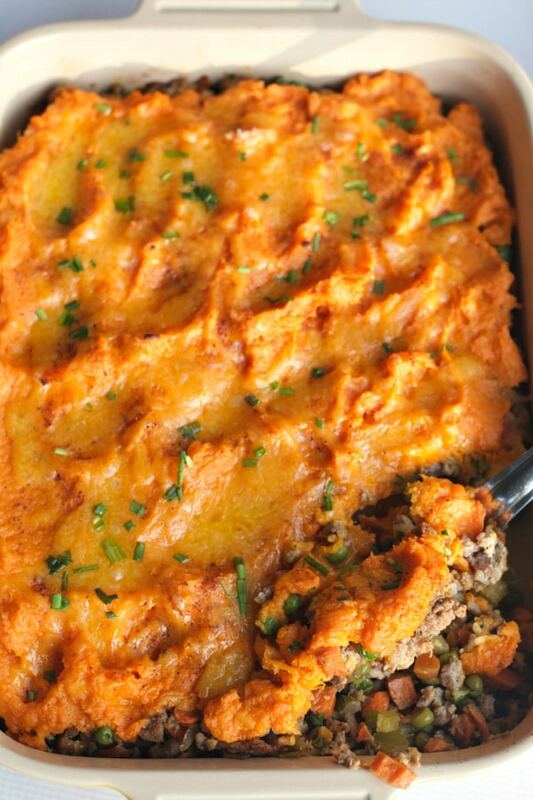 Cheese is a must and so pretty with those sweet potatoes on top. I LOVE the sweet potatoes and of course the cheese! This sounds awesome! You had me with the sweet potato topping on the shepherd’s pie, but sealed the deal with Tillamook. I’ve practically been a fan since birth. This sounds so good! Yum! I make a shepherds pie with sweet potatoes too and it’s so good. I should make it soon. Tillamook is my absolute favorite! When I was in high school my best friend and I would drive from portland just to get a fresh ice cream cone from the Tillamook Cheese Factory … and cheese curds, of course! 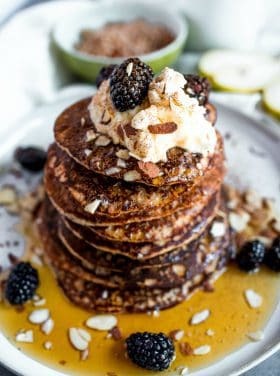 The recipes lately are over top of images & cannot be read. Cheesy dishes are always a hit with a crowd! 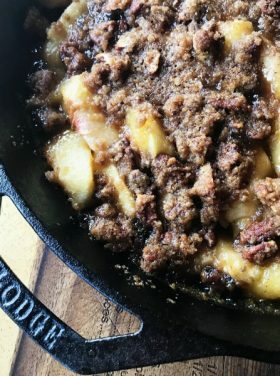 Loving this gorgeous fall dish! Your party set up is beautiful! 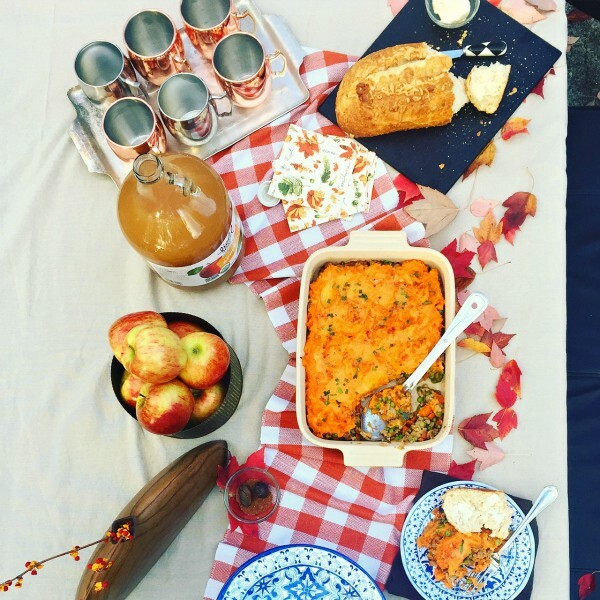 I love that festive fall spread you have going – especially the shepherd’s pie! Mmm….I adore Shepherd’s pie! And that cheese? Yes, please! Gorgeous party pics too!